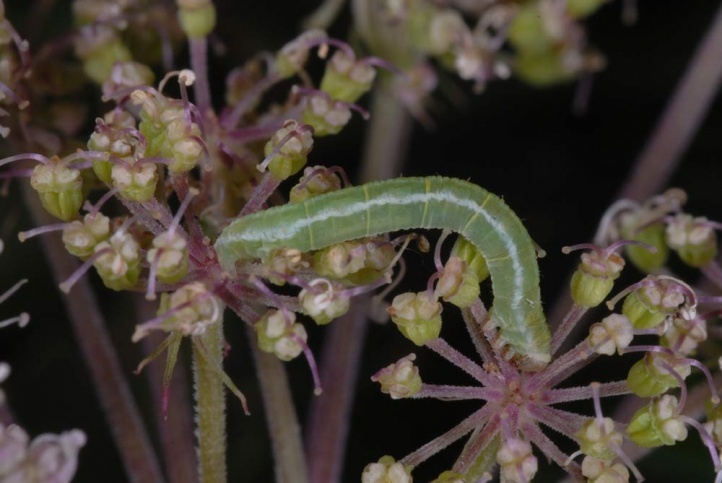 The larvae feed on Apiaceae, especially Angelica sylvestris, Heracleum sphondylium, Pastinaca sativa and Aegopodium podagraria. Eupithecia trisignaria inhabits mostly moderately moist forest edges (e.g. along forest paths or in clearings) or swampy places in the forest. The pupa hibernates. 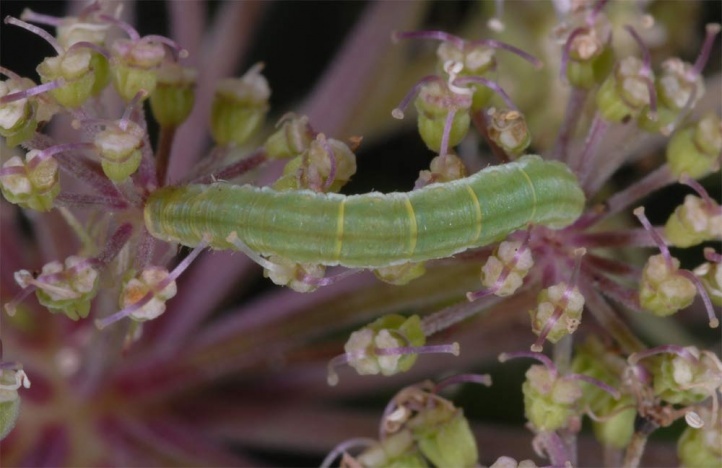 The moths fly in most cases in only a single generation from June to August. 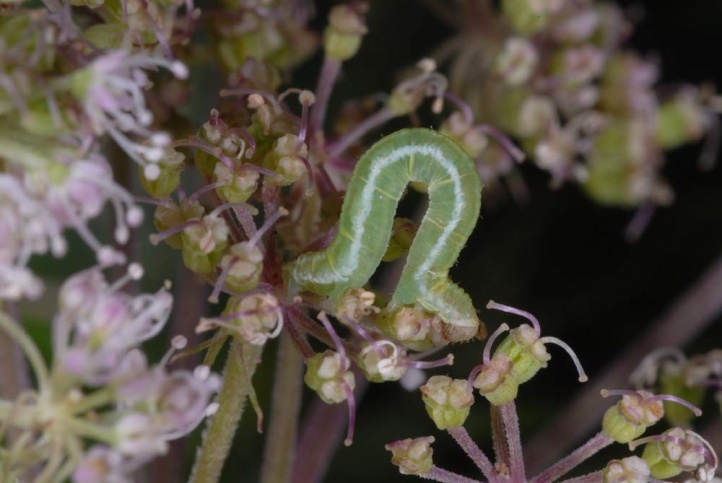 The caterpillar is predominantly found from late July to mid- or late September. Eupithecia trisignaria is widespread in western, Central and Northern Europe as well as in central and northern Asia to Siberia.